Apply for a temporary Work Permit in Canada using Form IMM 1295, Application to Work in Canada. Form IMM 1295 is used by individuals who are currently not Canadian citizens or permanent residents of Canada and who wish to work temporarily in Canada. In addition, some countries may require individuals to obtain a temporary resident visa. 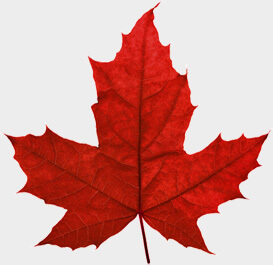 For more information and the list of countries that require visa, visit http://www.cic.gc.ca/english/visit/visas.asp. Form IMM 1295 is for individuals who are not Canadian citizens or permanent residents of Canada and who wish to work temporarily in Canada. A work permit is issued if the application is approved. It is important to note, the processing time of an application may vary from one visa office to another. For more information, visit http://www.cic.gc.ca/english/information/times/temp/workers.asp. In order to qualify for a work permit, individuals must show the officer that you meet the requirements of the Immigration and Refugee Protection Act (IRPA) and the Immigration and Refugee Protection Regulations and that you will be in Canada for a temporary stay. Prove to the immigration officer that you will leave Canada at the end of your employment. Show proof that you have enough money during your stay in Canada to take care of yourself and your family members and plan to return home. Be upstanding, law-abiding and have no record of criminal activity (it may be required of you to provide a Police Clearance Certificate). Not be a danger to the security of Canada. Be in acceptable health and complete a medical examination maybe required. Not intend to involve in employment with an employer on the list of Ineligible Employers. Not have worked in Canada for one or more periods totaling four years after April 1, 2011 (with certain exceptions). Be able to provide additional documents that may be requested by the officer to establish your admissibility. For more information on list of Ineligible Employers, visit http://www.cic.gc.ca/english/work/list.asp.